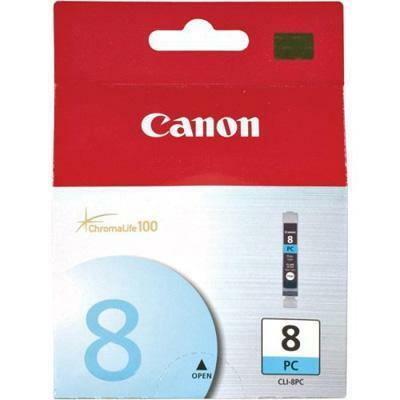 Canon - CLI-8PC CLI 8PC - Ink tank - 1 x photo cyan - 450 Superiority of design and manufacture goes into all of the Canon-branded consumable imaging supplies and parts for this equipment. 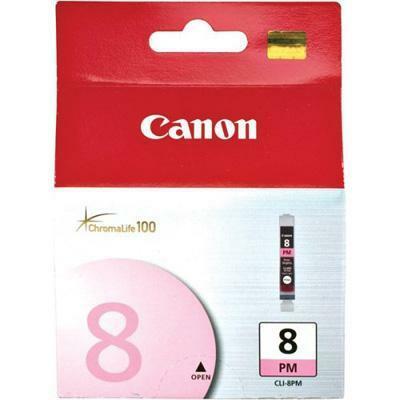 Canon - CLI-8PM CLI 8PM - Ink tank - 1 x photo magenta - 4 Superiority of design and manufacture goes into all of the Canon-branded consumable imaging supplies and parts for this equipment. 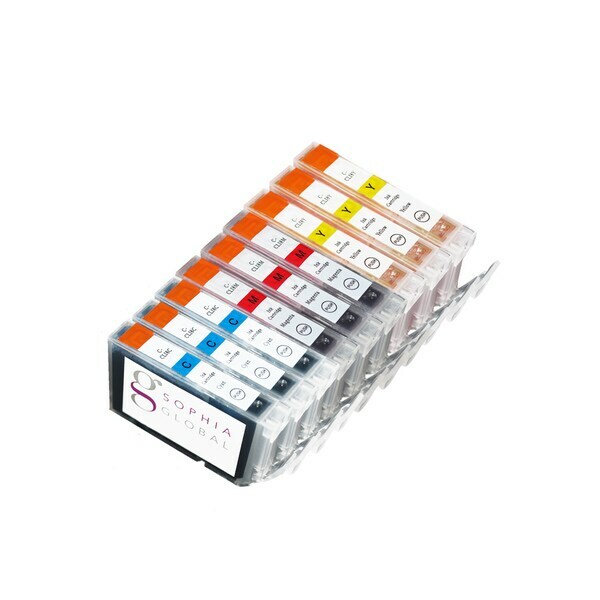 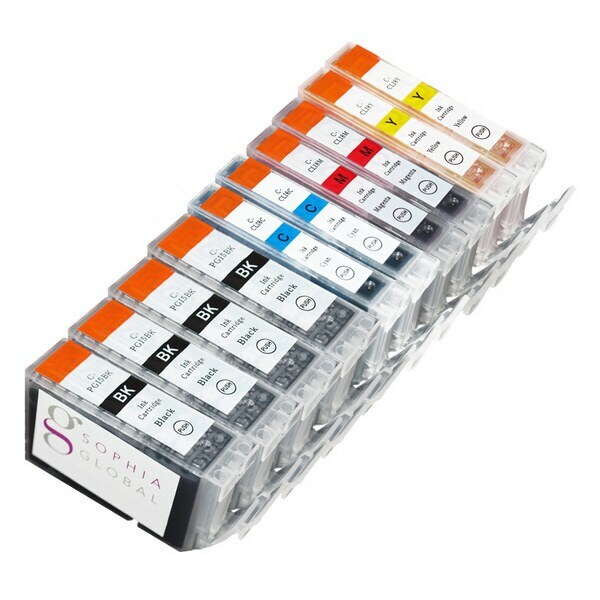 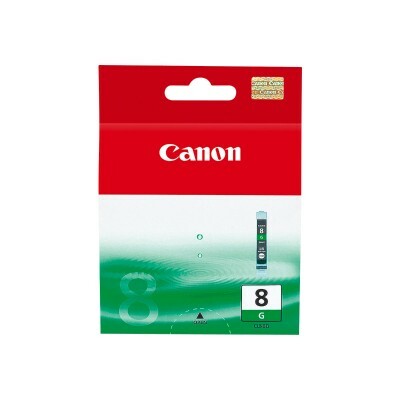 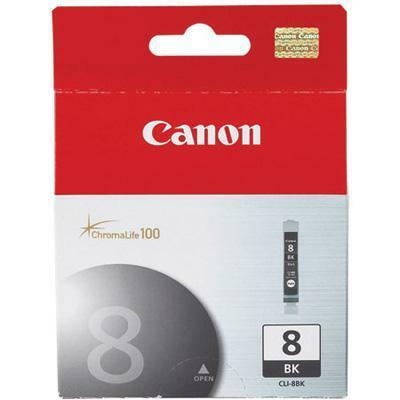 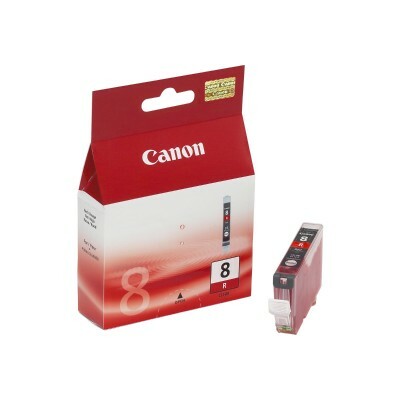 Canon - Canon CLI-8Y Ink Cartridge - Inkjet - 1 Each 0623B002 CNMCLI8Y pg.1338. 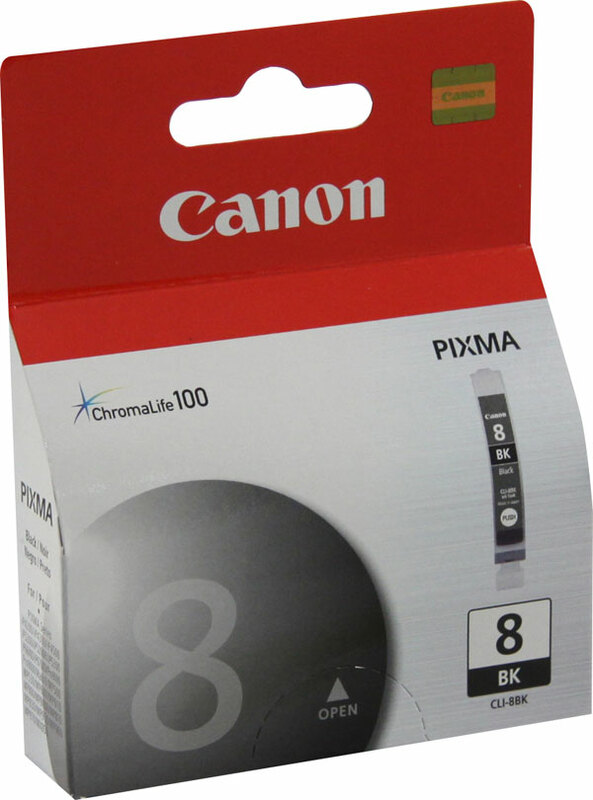 Canon - 0620B002 CLI-8 Black Ink Cartridge Compatible with: Pixma IP4200 IP5200 IP5200R IP6600D MP950 MP500 & MP800 Photo Inkjet Printers. 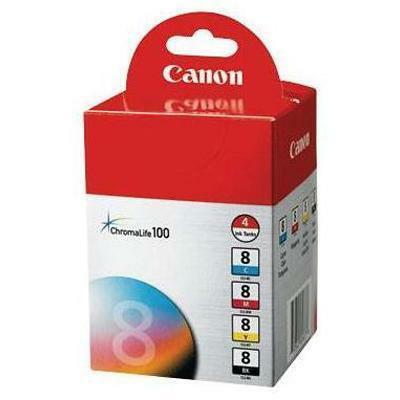 Canon - CLI-8PC Cli-8 Photo Cyan Ink Tank - 450 Pages - For Pro9000 Pro9000 Mark Ii Ip6700d I 0624B002 CNMCLI8PC pg.1338. 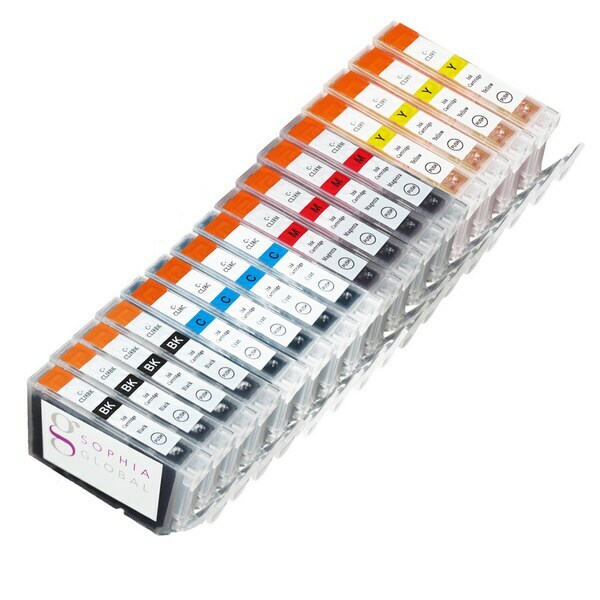 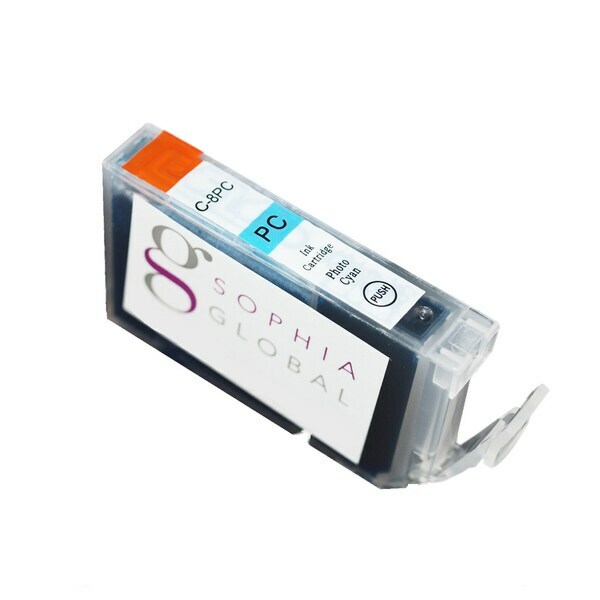 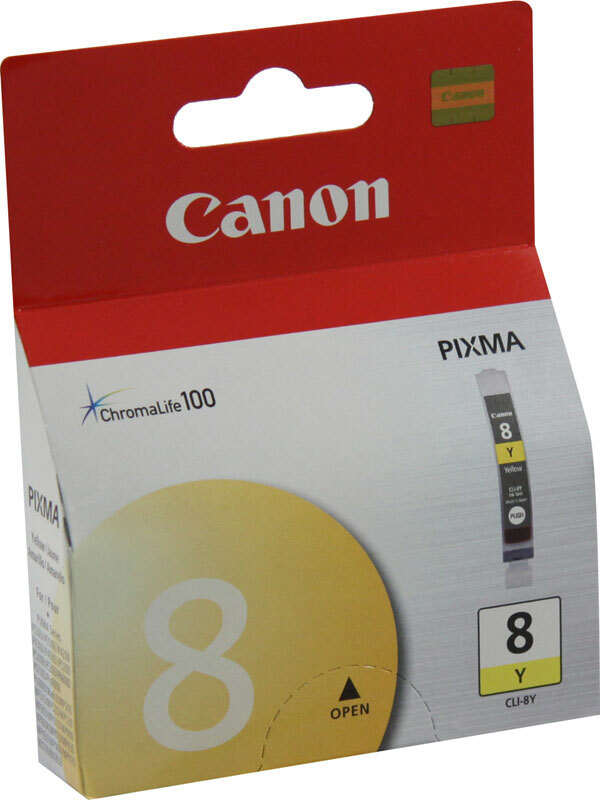 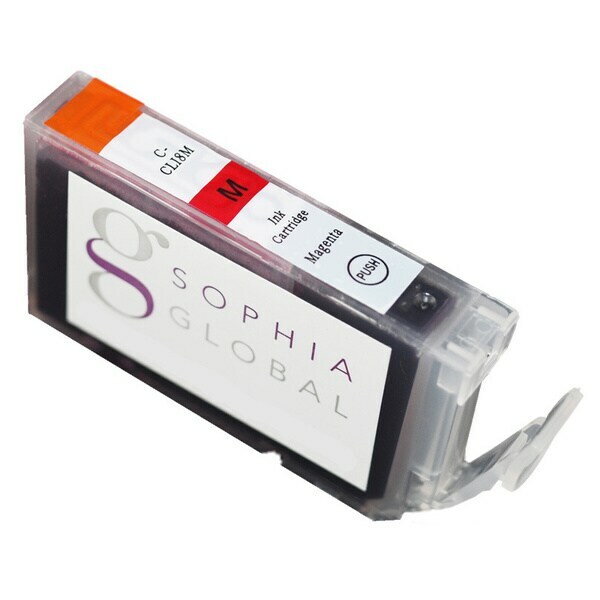 Canon - CLI-8 Canon CLI-8 Red Ink Tank For PIXMA Pro9000 Printer - Inkjet - 1 Each 0626B002 CNMCLI8R pg.1338. 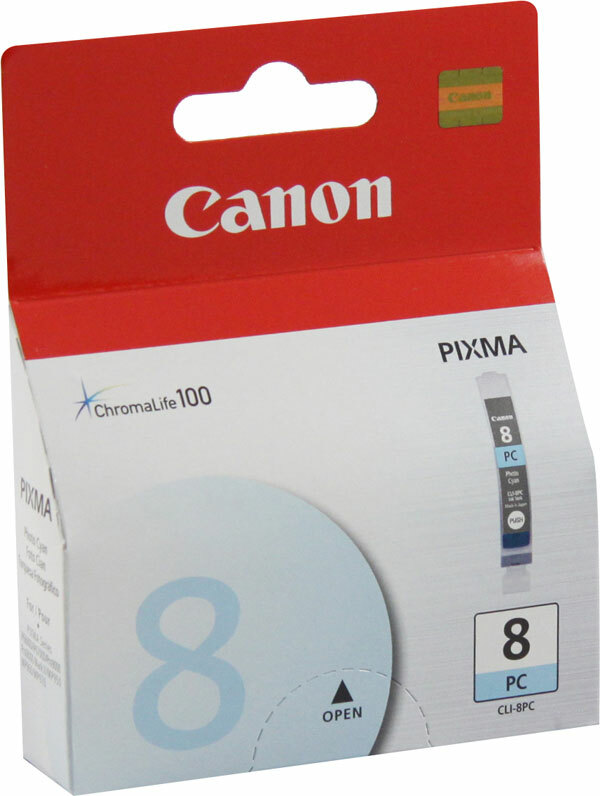 Canon - Cli-8 Cyan Ink Tank - For Canon Pixma Pro9000 Pro9000 Mark Ii Ip6700d Ip6600d 0621B002 CNMCLI8C pg.1338. 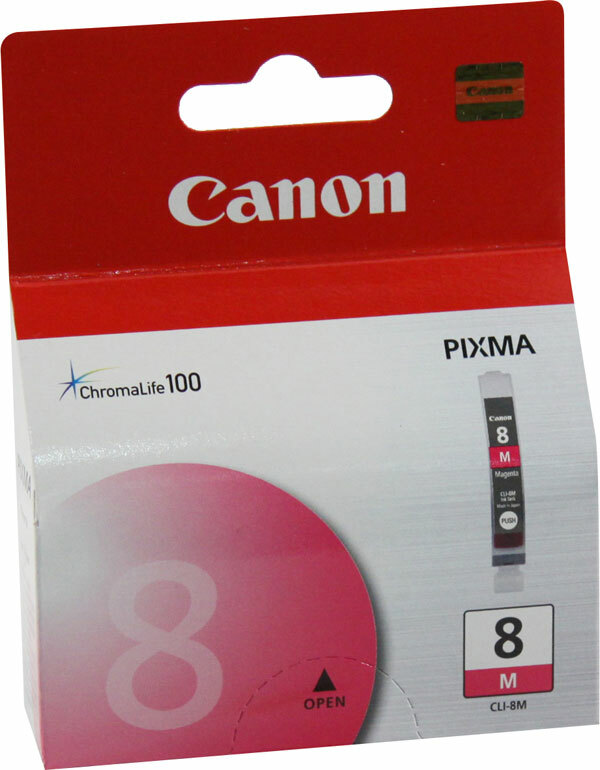 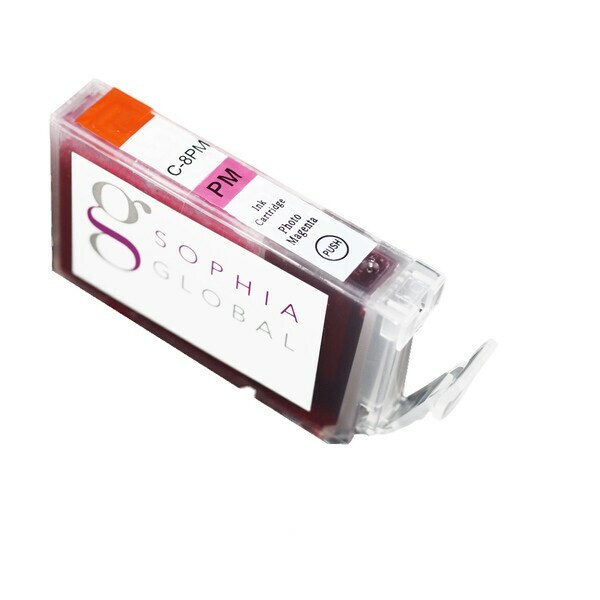 Canon - Cli-8 Magenta Ink Tank - For Canon Pixma Pro9000 Pro9000 Mark Ii Ip6700d Ip66 0622B002 CNMCLI8M pg.1338. 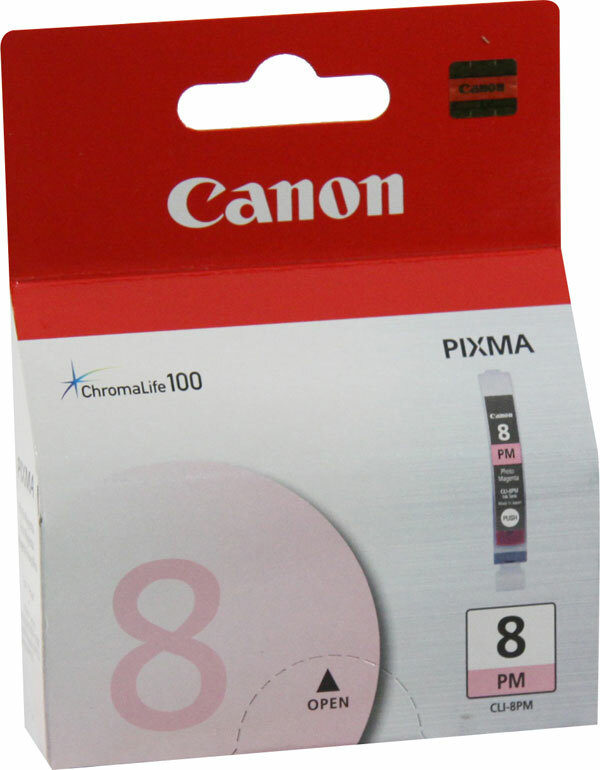 Canon - CLI-8PM Cli-8 Photo Magenta Ink Tank - 450 Pages - For Pro9000 Pro9000 Mark Ii Ip6700d 0625B002 CNMCLI8PM pg.1338. 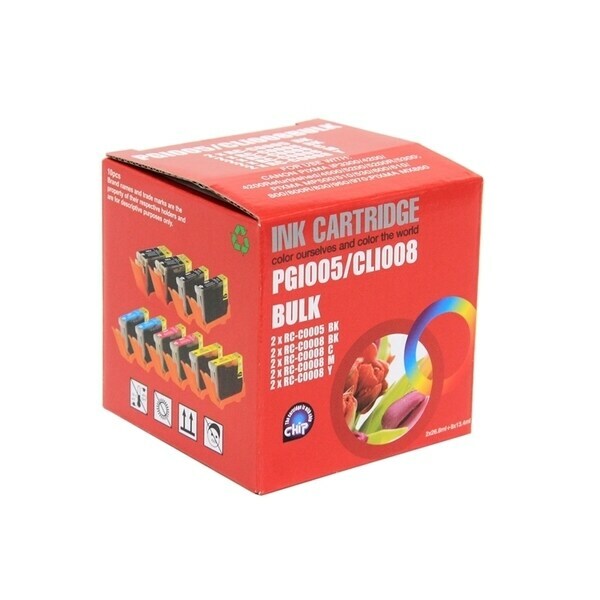 Canon - CLI-8 Canon CLI-8 Green Ink Tank For PIXMA Pro 9000 Printer - Inkjet - 1 Each 0627B002 CNMCLI8G pg.1338. 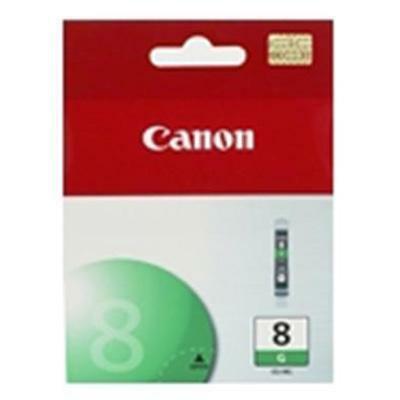 Canon - 0627B002 CLI-8 Green Ink Tank for PIXMA Pro9000 Using genuine Canon parts and supplies is your best insurance against equipment damage and possibly voiding your equipment warranty. 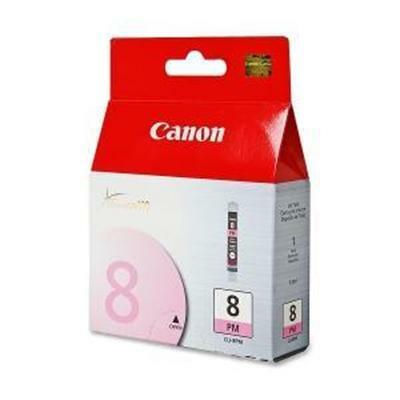 Canon - CLI-8 Canon CLI-8 Tri Color Ink Cartridges - Laser - 840 Page - Cyan Magenta Yellow - 3 Pack 0621B016 CNM0621B016 pg.1340. 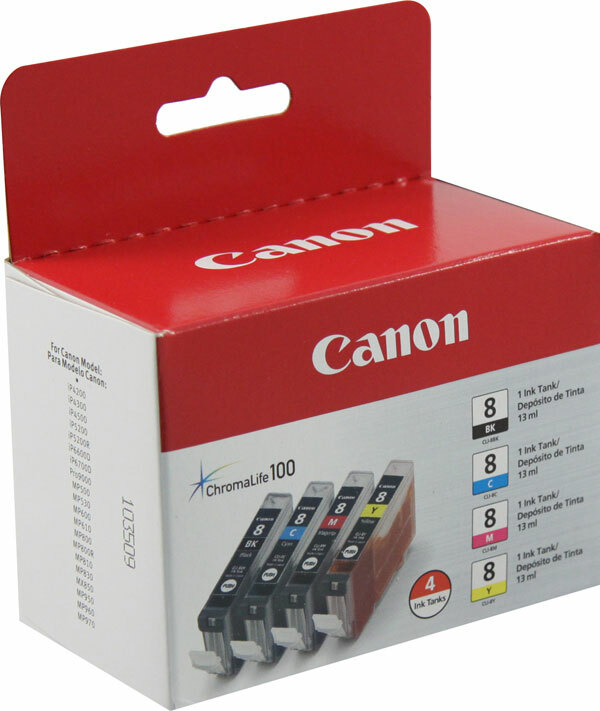 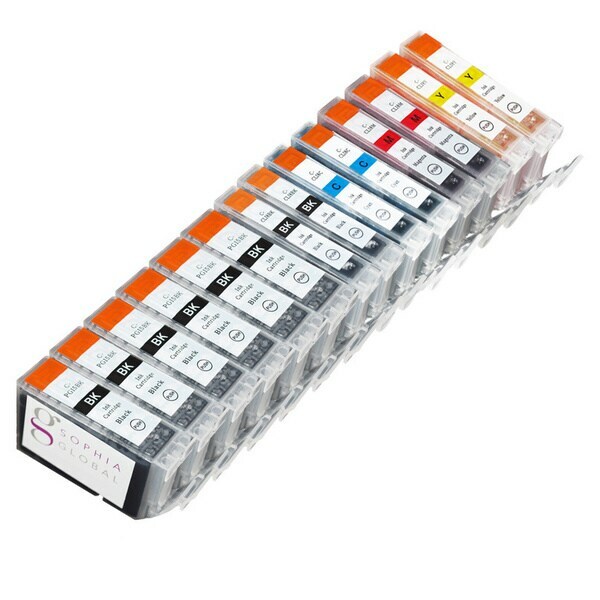 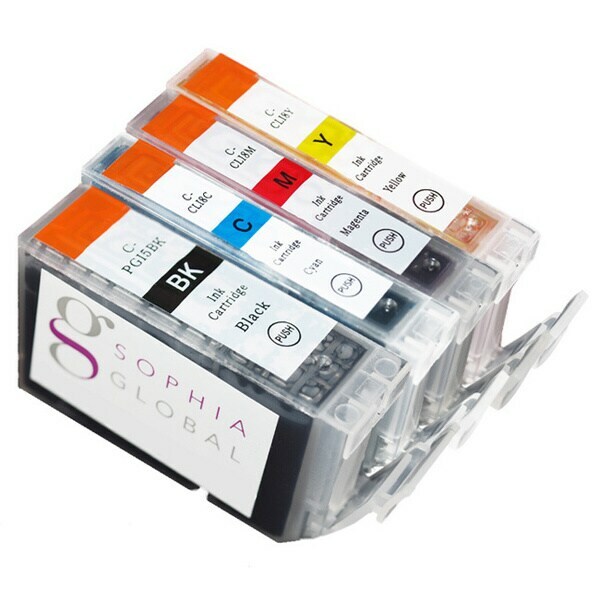 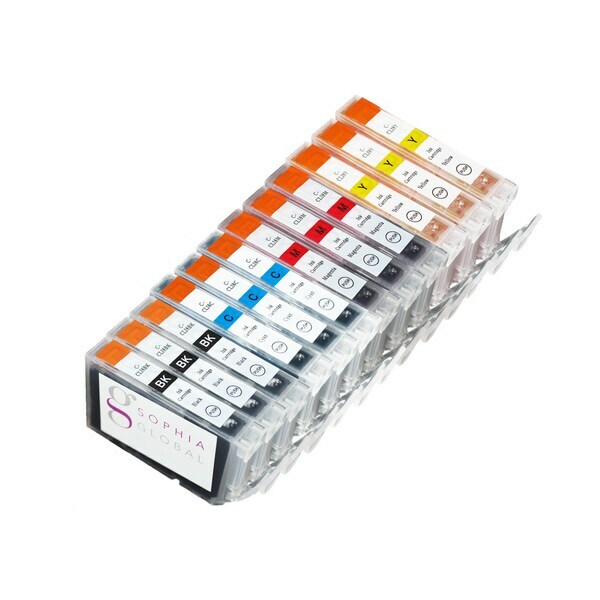 Canon - 0620B010 CLI-8 4-Color Multipack Using genuine Canon parts and supplies is your best insurance against equipment damage and possibly voiding your equipment warranty. 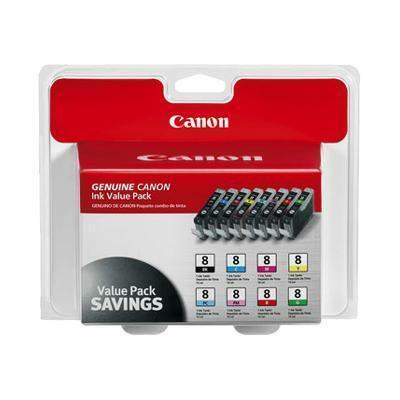 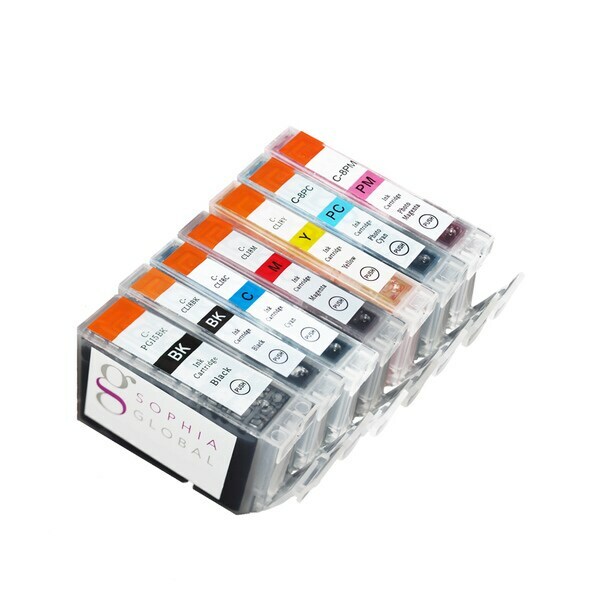 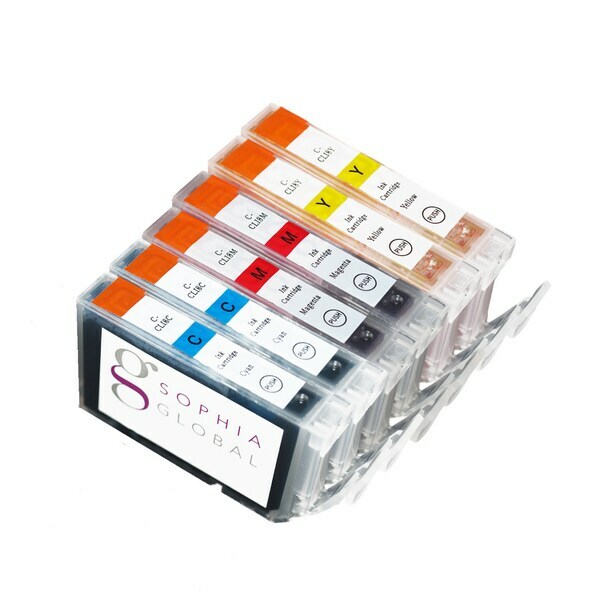 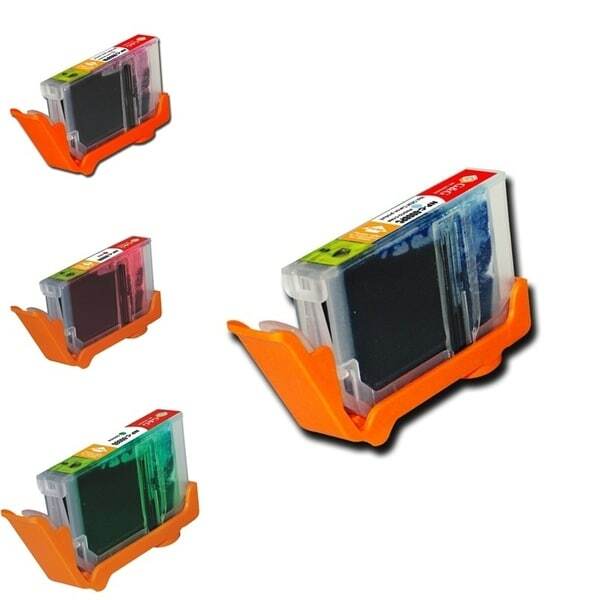 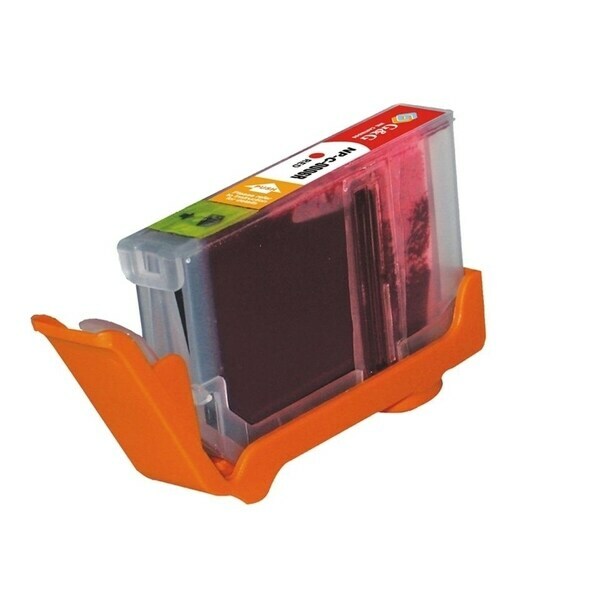 Canon - CLI-8 Canon CLI-8 Ink Cartridge - Black Cyan Magenta Yellow - Inkjet - Standard Yield - 4 Pack 0620B010 CNMCLI8 pg.1338. 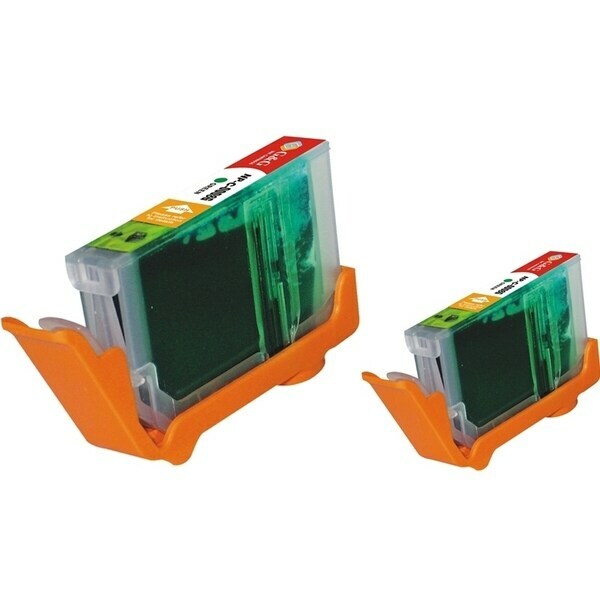 Canon - CLI-8 Canon CLI-8 Color Ink Cartridge - Inkjet - Black Cyan Magenta Yellow Photo Cyan Photo Magenta Red Green 0620B015 CNM0620B015 pg.1338.